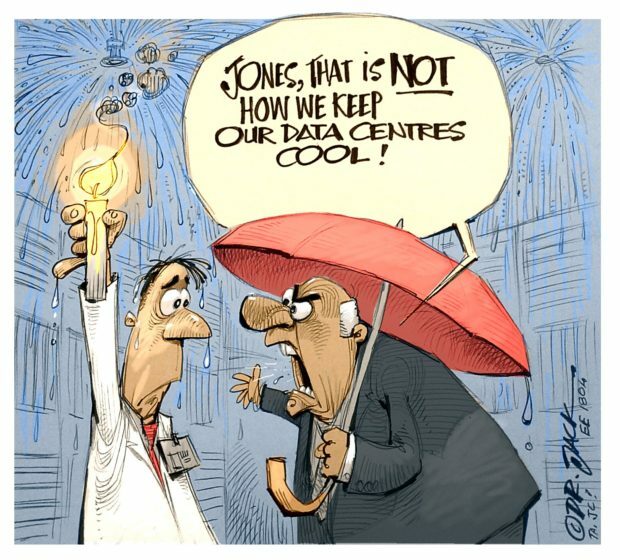 The true reliability and lifetime of LED lighting systems have generally remained unknown. Instead, LED lumen maintenance values are used widely to express the life expectancy of LED systems, but this is not accurate. LEDs’ lumen maintenance is just one reliability component of the system and does not represent the entire light emitting surface, luminaire assembly or system. The lifetime of a properly designed luminaire is often not determined by LED output degradation but by other factors. Many manufacturers who specify the lifetime of luminaires using lumen maintenance, justify this practice by the fact that only these values are available and therefore do not deem it necessary to develop actual data on luminaires. 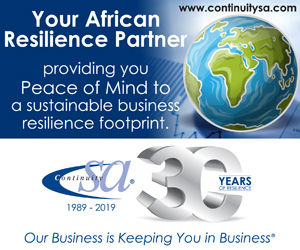 In many cases, neither the manufacturer nor the customer is aware of the difference, perhaps because the issue has not been studied and communicated sufficiently. Table 1: Results following the luminous flux maintenance life calculation. LM-80-8 and TM-21-11 Projecting long-term lumen maintenance of LED light sources. LM-84-14 and TM-28-14 Projecting long-term luminous flux maintenance of LED lamps and luminaires. IEC 62717 LED modules for general lighting. 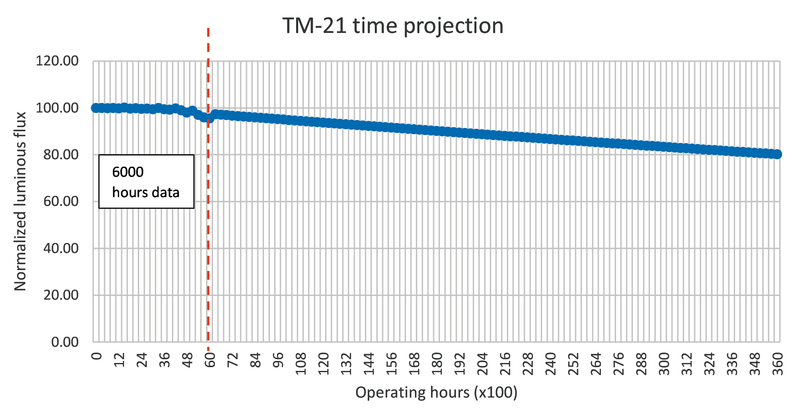 TM-21 outlines a standard calculation method to predict future lumen depreciation using LM-80 data to ensure consistent reporting from LED manufacturers. TM-28 predicts lumen depreciation based on LM-84 data, enabling lighting professionals to make sound decisions when specifying LED luminaires. The life expectancy of an LED luminaire is the combined effect of gradual light output degradation caused by material degradation and abrupt light output degradation caused mostly by electrical component failure. The rated life of LEDs is essential to integrators who design LED luminaires and who provide users with warranty and usage information. In IEC 62722-2-1, the maintenance value for LED luminaires using modules strictly according to IEC 62717 may be declared by the lumen maintenance value of the module. Basically, IEC 62722 tolerates replacing LED luminaire lumen maintenance with LED emitting surfaces, as long such data is available. IESNA limits light output projection for LED light sources and luminaires to maximum of six times the LM-80 or LM-84 test period. These test periods are typically 6000 hours, 10 000 hours or, occasionally, up to 12 000 hours, which translates to maximum flow projections of 36 000; 60 000 or 72 000 hours (see Fig. 1). The results, labeled “Reported” and/or “Calculated”, are assigned descriptions such as “Projected”, “Theoretical” or “Minimum lifetime” and basically express the difference between expected and theoretical values. Some manufacturers publish lumen maintenance values without specifying whether they relate to reported or calculated data. These values are unlikely to be supported by the IES where they exceed 72 000 hours. A luminaire with calculated maintenance data reported at 100 000 or 200 000 hours would be superior to a luminaire with reported maintenance at 60 000 hours. 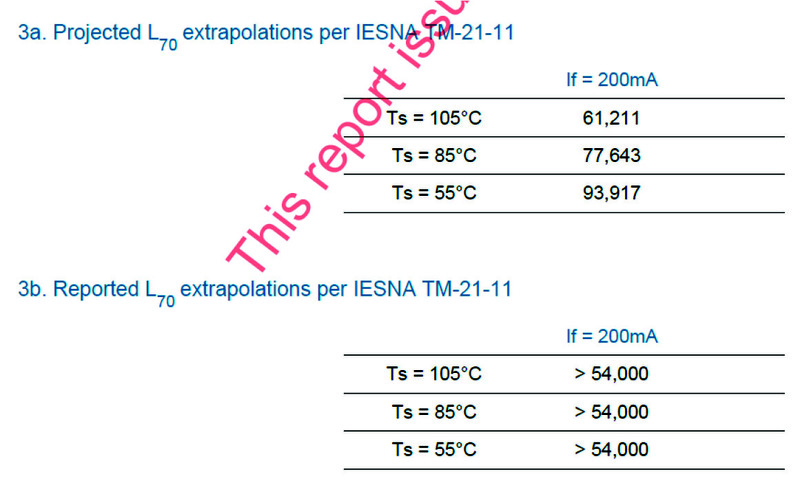 Those data points are not equivalent and should not be compared when selecting one luminaire over another. Declining luminaire light output during operation is caused mainly by degradation of the light source light output; a decrease of light transmission through the transparent screen; a reduction of power from the power supply, and ambient temperature. Fig. 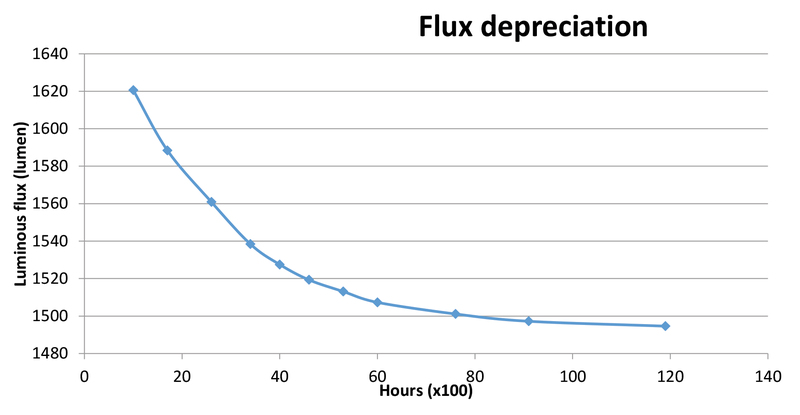 2 shows a typical flux degradation curve for a luminaire plotted against the hours of operation. These test measurements are conducted under strictly controlled conditions (usually in a laboratory) in terms of the procedures specified in the standards. These standards, LM 80 for example, dictate that LED emitters be kept under precise temperature conditions, excluding the optics and power supply or driver. Therefore, using these results to predict luminaire lifetime is, in fact, partially valid. The procedure for the collection of data on lamps and luminaires is specified in LM 84-14, while the projection of luminous flux method is stipulated in TM 28-14. These standards consider the contributions of all the luminaire’s components, as opposed to using a single LED’s test data as a proxy. According to TM-28-14, values obtained after a minimum of 6000 operating hours are processed by approximation by means of exponential regression and then by statistically estimating the light degradation six times beyond this range. 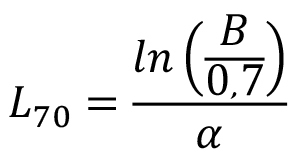 Approximation by exponential regression is expressed by Eqn. 1.
t = operating time (in hours). Φ (t) = averaged normalised luminous flux at time t.
B = projected initial constant by the least squares curve-fit of LM-84 data. α = decay rate constant derived by the least squares curve-fit of LM-84 data. For single LEDs available from any LED supplier, the process starts with data normalisation to a value of 1 (100%) at 0 hours, for each device. Then, the normalised data is averaged within the same data set (see Fig. 3). Then, perform an exponential last squares curve-fit through the average values, defined in Eqn. 1 (see Fig. 4). TM-21 provides Eqn. 2 to project the luminous flux maintenance life for single LEDs. Table 1 shows the result after the luminous flux maintenance life has been calculated. The result estimates a level of 80,23% luminous flux depreciation after 36 000 hours’ operating time (see Fig. 5). It is unlikely that the true behavior of the luminaire, under real conditions, is known beyond a certain range. Light output depreciation is caused mainly by thermal stress from the LED emitters, but may also be the result of ageing or dirt on the transparent screen or the optical system. The sample size needed to extrapolate data for LED luminaires according to TM-28 is a minimum of three. By contrast, the sample size for individual LEDs is 20, according to TM-21. This difference may be equivalent to extrapolating data only from a half-luminaire and, eventually, from one luminaire. Therefore, at least from a statistical point of view, reporting luminaires’ flux maintenance life by using LM-80 lumen depreciation data is not satisfactory. As opposed to rated life, rated lumen-maintenance life is defined as “the elapsed operating time over which an LED light source will maintain the percentage of its initial light output”. In ANSI/IES RP-16, the rated life of a lamp or a light source is defined as “the life value assigned to a particular type of lamp. This is commonly a statistically-determined estimate of median operational life”. The rated life of an LED lamp or light source in hours applies under certain operational conditions and for certain defined failure criteria. The statistical measure for rated life is designated by BX and is measured in hours, where X is a percentage. 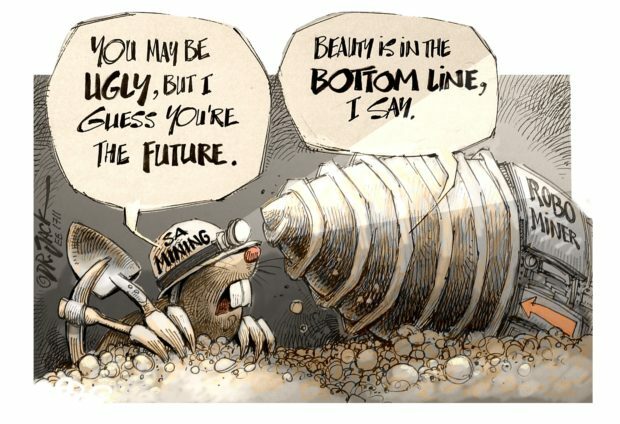 For example, B50 >50 000 hours means that 50% of the tested products exceeded 50 000 hours without failure. Rated lumen maintenance life is also measured in hours, and provides the associated percentage of light output, noted as LY. For example, an L70 of 30 000 hours means that the tested LED or luminaire generates 70% of the initial light output after 30 000 hours. The 70% threshold was taken from the standards applicable to light sources in general. Extrapolation of flow holdings beyond 6000 hours is done after the mathematical procedure specified in TM-21 for LED transmitters, also TM-28 for LED lamps and luminaires. However, the nominal life differs from the lifetime of the LED light source or luminaire and provides luminaire users with warranty and usage information. The solid-state lighting (SSL) industry now has a standard way to obtain long-term information for both LED emitters and luminaires. After completing the TM-21 test method, which shows a data flow-based flow estimation method according to LM-80, it is possible to extrapolate the lifetime of the LEDs over 6000 hours. For LED luminaires and lamps, however, another standard, TM-28, provides a method for estimating data-based lumen depreciation according to LM-84 Measurement of luminous and lamp light flow measurement, transmitters and LED devices. Instead, TM-28-14 recommends the minimum number of items to be tested – three if the results are available after a minimum of 6000 hours and five if the data is available for a maximum of 6000 hours but no less than 3000 hours. IEC 62717, the lifetime of the device may be declared as the module/surface area. However, it must be tested for other assemblies. The majority of luminaire manufacturers disregard these specifications and conveniently use the luminous flux maintenance values of the LED components, even if they are not determined according to IEC 62717. 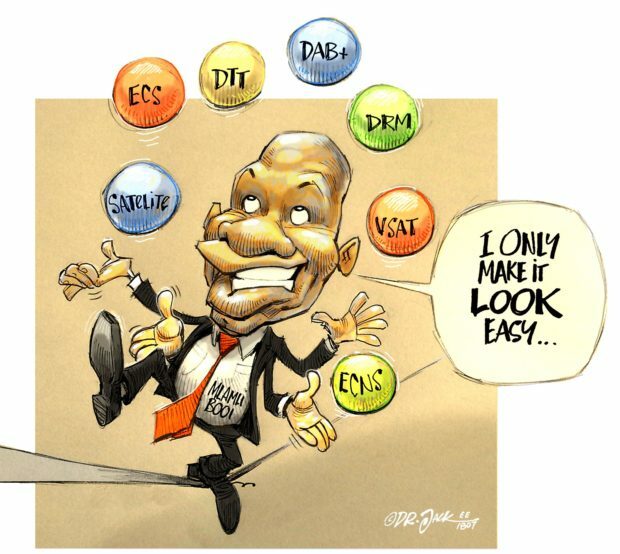 Unfortunately, this evaluates the life/reliability of a single component in the system only. As a result, the lifetime of a luminaire, even if it is well-designed and manufactured, cannot be quantified by the lumen maintenance of the LEDs only.